Some question whether Confirmation is really a sacrament. Martin Luther retained the ceremonial aspect of it, but rejected its sacramentality, saying, “God knows nothing of it.” Even some modern Catholic thinkers have referred to it as “a sacrament in search of a theology.” After all, Christians receive the Holy Spirit in Baptism. Why then do we need a second anointing of the Holy Spirit in Confirmation? What is its purpose? Part of the criteria the Church used in delineating the seven sacraments was that each had to have been instituted by Christ Himself, as when He instituted the Eucharist at the Last Supper, and when He was baptized in the Jordan River. But, when and where in the Gospels did He institute the sacrament of Confirmation? Maybe its critics have a point. Yet, the Church has continually upheld Confirmation as a sacrament. In the 13th century, St.Thomas Aquinas took up this very question of the defense of Confirmation as a sacrament in his Summa Theologica (Summa, III, q.72). Later, the Church Council of Florence in 1439, and again, the Council of Trent in 1566 both affirmed the sacrament of Confirmation as one of the seven sacraments. These declarations have remained as the foundational Catholic understanding of Confirmation all the way up to modern times. As the Catechism now states, “Baptism, the Eucharist, and the sacrament of Confirmation together constitute the ‘sacraments of Christian initiation’.” (CCC 1285) Confirmation is one of the three sacraments in which the Christian is initiated into the Church. Baptism, Eucharist and Confirmation are a unity which complete our initiation. In the Eastern Orthodox Church, unlike the Latin Church, this unity is expressed by administering these three sacraments together, one after another, for initiation into the Church. In Roman Catholicism, however, they are spread out over time, generally speaking, beginning with Baptism, then later, Eucharist, and finally, upon entering adulthood, Confirmation. The reception of Confirmation completes and perfects the Baptismal grace. (CCC 1285) So, Baptism and Confirmation are two distinct sacraments, but linked together in the conferral of grace. As the passage (above) from the book of Acts demonstrates, the disciples in Samaria had already been baptized, but Peter and John came to lay hands on them so that they would receive the Holy Spirit. They were then, in fact, “confirmed” into the Church, received the Holy Spirit, and completed their Baptismal grace. Confirmation is sometimes called “the sacrament of Christian maturity.” It is the sacrament that ushers the Baptized into the fullness of the Christian community, through the special strength of the Holy Spirit it identifies us more closely with the public mission and witness to Jesus Christ. Lumen Gentium says that, in Confirmation, those confirmed are “more perfectly bound to the Church,” so that, they are “obliged to spread and defend the faith, both by word and by deed, as true witnesses of Christ.” (LG, 11) The Confirmed are to share more completely in the mission of Christ and the fullness of the Holy Spirit, so as to give off “the aroma of Christ.” (CCC 1294) In his letter to the Corinthian Church, St.Paul calls the newly converted, and presumably newly Baptized, “infants in Christ.” (1 Cor.3:1) Baptism is our beginning point to the life in the Spirit. St.Thomas also compares Baptism as the point of our spiritual regeneration, and Confirmation as the point of our spiritual maturity. Baptism is our entrance, and Confirmation is our graduation. St.Thomas says of Confirmation that “man is perfected by Confirmation.” (Summa, III, q.65, a.3) In Baptism, we become children of God, and in Confirmation, we become friends of God, sent into the world to give witness and carry on the mission of Christ. The Holy Spirit had strengthened the Apostles and the disciples, who were now unafraid to proclaim and defend the faith publicly. The flinching Apostles became towering super-Apostles, for through these twelve men, Christianity spread throughout the whole world in the midst of, and in spite of, terrible persecutions and martyrdom. St.Thomas discusses the miraculous change in their behavior due to the Holy Spirit. 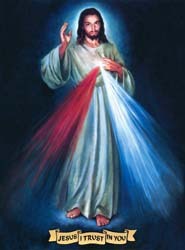 He says, “whereas in Confirmation he receives power to do those things which pertain to the spiritual combat with the enemies of the Faith.” (III, q.72, a.5) Confirmation anoints us with the power for spiritual combat, and to persevere amidst the trials and tribulations of giving witness to Christ in a hostile world. Confirmation is the sacrament to strengthen us for combat. Jesus Himself, in fact, did institute the sacrament of Confirmation, albeit not by bestowing it directly, but with the promise of a future fulfillment, for He could not give the Spirit until after His Resurrection and Ascension. (Summa, III, q.72) Jesus promises His Apostles beforehand, “Nevertheless I tell you the truth: it is to your advantage that I go away, for if I do not go away, the Advocate will not come to you; but if I go, I will send Him to you.” (Jn.16:7) Jesus promises that once He is gone He will send the Spirit of Truth (Jn.14:17), the Advocate (Jn.14:16), the Paraclete, the Comforter and Counselor, to clothe them with power “from on high.” And again, Jesus tells His Apostles, “I have said these things to you while I am still with you. But the Advocate, the Holy Spirit, whom the Father will send in My name, will teach you everything, and remind you of all that I have said to you.” (Jn14:25-26) Jesus promises this, even though His Apostles had already been baptized, as implied in Him washing their feet and His saying to them “you are clean.” (Jn.13:10) Yet, Jesus promises more. He promises to clothe them with the power of Heaven, the Holy Spirit, which is ultimately fulfilled on that day of Pentecost. This is the birth of the active Church, the Church militant. From there, the Church spread through the ancient world, first to Jew, and then, soon after, to Gentile, and all the way up till today, to all nations, universally across the globe. Yet, the Holy Spirit did not continue to anoint the disciples in such a dramatic, miraculous and visible fashion as at Pentecost. From that point on, the Apostles begin to invoke and confer the Holy Spirit through the imposition of hands, or the laying on of hands. This is truly the birth of the sacrament of Confirmation. As Acts says, “Then Peter and John laid their hands on them, and they received the Holy Spirit.” (Acts 8:14-17) St.Paul and the other bishops of the apostolic Church also conferred the Holy Spirit upon the Baptized through the imposition of hands. As St.Paul’s letter says, “For this reason I remind you to rekindle the gift of God that is within you through the laying on of my hands.” (2 Tim. 1:6) We see this again in Acts, “When Paul had laid his hands on them, the Holy Spirit came upon them, and they spoke in tongues and prophesied.” (Acts, 19:6) The “laying on of hands” is similarly mentioned in other places throughout the New Testament, such as in the letter to the Hebrews. (Heb.6:2) It was an integral part to the early, apostolic Church. It was part of The Way. The laying on of hands is the sacrament of Confirmation. It remains part of our way today. Confirmation is an extraordinary and charismatic conferral of grace, that completes our Baptism, unites us more closely with Christ, confers an indelible character upon our souls, gives us a special permanent status within the Church, strengthens our faith to engage in spiritual combat and to be able to publicly and boldly defend it. (CCC 1303) In short, it perfects the character we receive (in Baptism) as part of the common priesthood of the faithful. (CCC 1305) Our initiation is complete. Our status and our service in the common priesthood of the faithful are officially consecrated to God through the power of the Holy Spirit. With the winds of the Spirit in our hearts and the tongues of fire in our minds, we are ready now, ready to leave the safe confines of the upper room and witness to Christ in the public marketplace. This entry was posted in Baptism, Catechism of the Catholic Church (CCC), Confirmation and tagged Acts, Advocate, Apostles, Baptism, Bishop, Catechism, Catholic, character, Christianity, combat, Comforter, confirm, Confirmation, Counselor, from on high, Holy Spirit, imposition of hands, indelible mark, initiation, Jesus, laying on of hands, Lumen Gentium, maturity, Paraclete, prophesied, sacrament, seal, Spirit of Truth, St.Thomas Aquinas, tongues of fire, upper room, witness on November 16, 2015 by Brian.